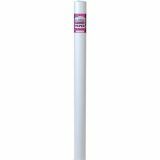 All-purpose banner paper roll is 20 lb. smooth white bond paper. Perfect for murals, arts and crafts, signs, banners and displays. Accents a wide variety of mediums including paints and markers. Acid free. 36" x 75'. 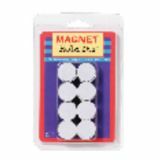 Adhesive-backed magnet dots. 3/4" diameter. Pack of 100.